Essential oils have been around for thousands of years, but recently they’ve burst back onto our radars. And we’re obsessed. Extracted from flowers, leaves and plants, these oils are a natural pick-me-up with plenty of proven benefits. It all comes down to aromatherapy, or the science of smell. When we smell something, it makes us feel a kind of way – that’s why you probably associate perfumes with people or memories in your life. Thanks to their powerful, pure ingredients, essential oils can ease anxiety, stress and insomnia, among other things. Every essential oil has a different purpose. Here’s your guide! To calm your nervous system and stop racing thoughts after a long day, use a diffuser or treat yourself to a bath with a few drops of these essential oils. Crack open your book, and just chilllll. Are you feeling low or lacking energy? Are you tired, bored or distracted? Whatever the reason for your mood, aromatherapy can help. These essential oils are natural mood boosters. They also help to improve your mental clarity and alertness, so you can tackle those tasks on your to-do list. Try inhaling these oils throughout the day, or burn them in a diffuser on your desk. Rosemary – this is a major memory helper! We all have a lot going on. We’re trying to be amazing friends/daughters/gfs. We’re trying to do well at school or work. We’re trying to make or save money. We’re trying to eat well and exercise. It’s no wonder we’re feeling overwhelmed. Anxiety and stress are inevitable to some extent, though some of us struggle with it more than others. 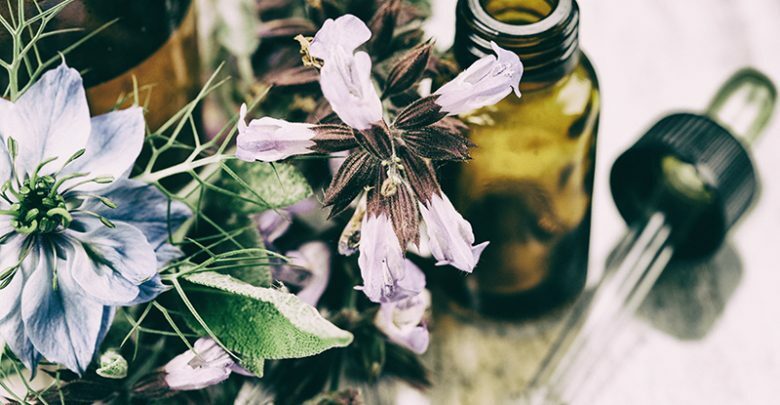 When anxious thoughts creep in, these essential oils may help to ground you. Sleep is one of life’s simplest pleasures – yet tons of us toss and turn, clock-watch, and wake up at random times of the night. If you’re nodding your head, essential oils might help you to fall – and stay – asleep the natural way. To snooze soundly, try mixing a few drops of essential oil with a ‘carrier’ oil (like coconut or jojoba oil), and massaging it onto your temples, wrists, neck or chest. This relaxing ritual signals to your mind and body that it’s time to sleep. You can also create a spray with water and the essential oil of your choice, and spritz it onto your pillow. Sharing a bed with a snorer? Spray a little peppermint or eucalyptus oil on their pillow – they can work wonders for snoring and sleep apnea. Okay, this makes us sound like grannies, but we all feel stiff and sore sometimes – whether it’s from sitting down all day, working out, or slouching. Guilty! In aromatherapy, a handful of essential oils are used to soothe muscle aches and pains. These blends help to relieve tension and inflammation. Dilute a small amount into a carrier oil (we like coconut oil), and then massage the mix into your skin – like a DIY muscle rub! Got the sniffles? Suffering from a full-blown, snotty flu? Or are you all congested thanks to allergies (hate you, hayfever)? Reach for these babies when you’re sick or stuffed up. Pop a few drops into a bowl of steamy water, put a towel over your head, and inhale deeply for a few minutes. Remember, essential oils are potent, so a little goes a long way. Eucalyptus – the scent is strong, so a couple of drops is enough! It’s not the prettiest part of the body, but the gut is the key to our overall health. Obviously, you all read our blog religiously, so you know we go into the nitty-gritty in our guide to gut health. Digestion isn’t always smooth sailing, and that’s when essential oils can lend a helping hand. If you’re bloated, gassy, constipated or in possession of a food baby, try rubbing these essential oils onto your tummy for relief. Remember to dilute them in coconut/olive/jojoba oil first! The goal is to stimulate the digestive tract, so don’t be afraid to apply a little pressure when you massage. Yep, this is basically a list of things you can eat/drink to speed up digestion, too! Jetting off soon? Pack a few essential oils into your carry on – not only do they pass the ziplock bag requirements, but they’re a great way to stay balanced and calm on the plane. 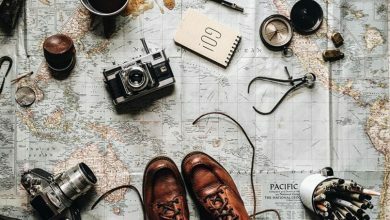 Essential oils pack a one-two punch for travel: when you arrive at your destination, they can also help you to combat the fogginess that comes with jet lag. For an easy fix, use a ready-to-go roll on with your fave essential blend (you can buy these from health stores). Otherwise, dab a few drops behind your ears or inhale from a cotton ball. Lemongrass – this is uplifting and clears the mind, making it a jetlag saviour! Is your skin dry, dull, splotchy or misbehaving in some way lately? Sometimes, slathering on exxy products doesn’t work. You have to go to the source, and clean up your diet and get your stress and sleep under control. Check out our good skin guide [link once it’s up] for tips. After you’ve done that, you can try adding essential oils to your routine. This homegrown hero (yep, tea trees only grow in Australia) is brilliant at clearing breakouts. It works by killing the bacteria in the skin that causes inflammation and zits. The pure stuff is pretty potent, so use it as a spot treatment on those pesky pimples. 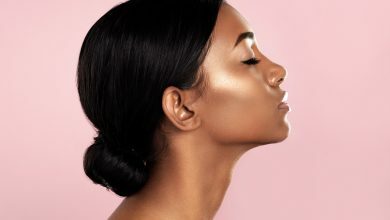 If you want to apply it all over your face/back to prevent breakouts, you can – but be sure to use a tiny bit and dilute it in coconut or jojoba oil. Avoid doing this if your skin is sensitive, though. Among its many amazing properties, cedarwood oil is an antiseptic. It can be used to treat oily skin and slick T-zones, but the same rules apply here: always dilute it in water. Bergamot works its magic on dry skin, as well as chronically dry skin that’s suffering from psoriasis and eczema. Again, mix a teeny-tiny bit with a carrier oil before applying it.